Change your screensaver periodically to something that inspires you — mantras, past fond memories, a motivational image. I make sure to change mine every 2–4 weeks to keep it fresh. Changing what you see when you pick your phone up can prepare you for whatever reason you reached for your tech, whether what you see is good or bad — you are in control of how you perceive that and a quick reminder of the existing greatness in your life can help dramatically. 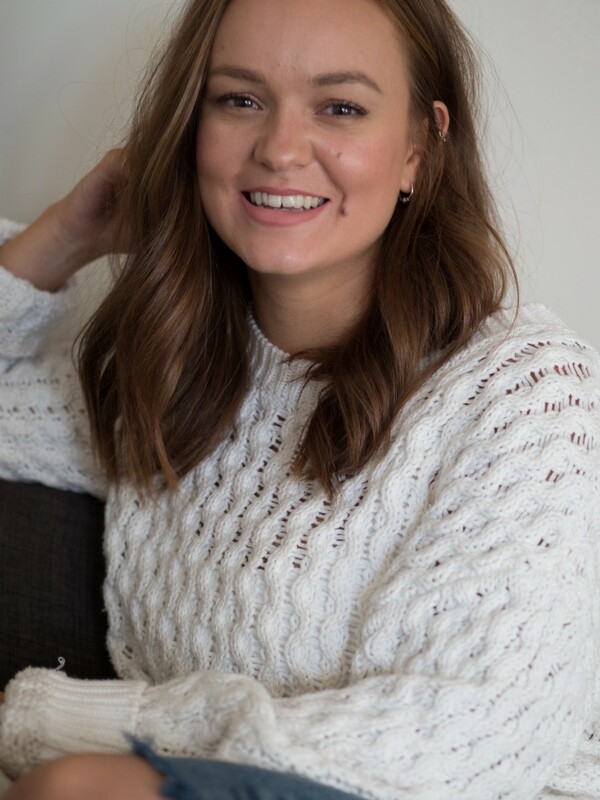 I had the pleasure of interviewing, Helen Sian India, a yoga teacher, wellness coach, entrepreneur and sweet spot finder who helps busy, stressed out women find peace and balance in as little as 5 minutes. She’s been lucky enough to have experienced a variety of amazing things; a 6 page magazine spread on body image, world travel, moved overseas at the age of 24 (solo), house purchased at the age of 25, business started at the age of 26. She’s mastered the corporate world and now masters the entrepreneurial world of yoga and wellness. My pleasure! From early on, I knew that I enjoyed learning about and helping people because we interests me, so I chucked myself on 3 intensive years of a BSc in Psychology. Seven qualifications later (Yoga, Life Coaching, Fitness, Nutrition etc etc etc), I realised I was obsessed with learning. Sadly though, I had no-one to share this all with. I started looking for ways I could help people. This desire and my search for trying to get healthy (without having to run), led me to yoga. I started with some YouTube tutorials and was practicing every day, (with the help of Instagram challenges) so decided to take the plunge and train to teach. This changed my entire world. After teacher training, I started teaching in the UK, then moved to the other side of the world, because why not! I got some amazing opportunities and started teaching Yoga around Wellington whilst personal training but still found that teaching people to be more physically comfortable wasn’t quite hitting the mark. I moved down to Christchurch and landed myself a corporate job where I got to coach people into their dream career. Within a year I was leading a team in Sales and Careers Coaching and I loved every minute of it. I was flying high with international recognition, I was looking at buying a house, I was earning over $100k a year. Everything seemed to be working out beautifully. And then my Dad died and rather than feeling secure with a steady job, good future outlook and belief in myself, I felt in limbo with no direction and I hated it all. I was away from all my family and close friends and life just kept happening around me. I was healthy, my boyfriend and I bought a house, I was heading into regional management, my loving relationship was going well but nothing was right. I wanted help, I wanted direction and I wanted guidance. I looked around for someone that could help and found that a Life Coach would be ideal — it seemed the answer to all my little problems. However, no matter how much I searched or how wide my search went, I found no-one under the age of 40. Someone that understood how horrible it is to compare yourself to everyone on social media, no-one who understood how difficult it is to understand health for ambitious millennials, no-one who was able to guide me through this turbulent part of my life with significant advice and essentially no-one I felt I could relate to. So I decided to gather all my knowledge and do it myself. Since starting a career to help make lives easier, my life has gotten harder! I count my blessings though, everything i’ve learnt has enabled me to reach more and more people. And I guess because I love learning, I brought it on myself! I am indeed. 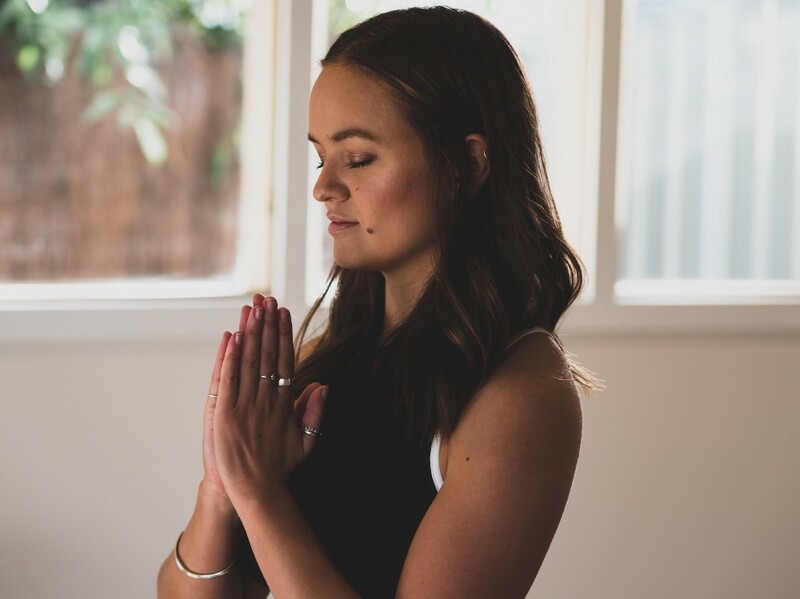 I’m in the process of creating a course and platform for busy women to practice yoga + meditation with ease, think specific short and sweet ways to build wellness into your day. We have this increasing need for stimulation that we think we need in order to feel satisfied. We are becoming more and more adamant that we need to be happy all the time, and as soon as we feel unsatisfied with what’s happening in the moment, we turn to our screens to alleviate our boredom. This in turn encourages us to believe that our life is unsatisfactory just as it is — emotionally we internalise ourselves and our lives as ‘not enough’, that we must constantly strive for something more (which is repeatedly shown to us on social media). Not only that, but this encouraged distraction prevents us from being aware of our thoughts and emotions in the moment, all this does is cause unnecessary stress. a. An unhealthy relationship with technology also means we blame ourselves for procrastinating or for struggling to stay motivated, this affects our overall wellness as we internalise our ‘shortcomings’. Reduce distractions such as your phone, emails, notifications and our productivity sours. When we decide when to react to our technology, we allow our productivity to improve. b. There’s nothing more annoying than trying to have a conversation when someone is distracted by their screens, other than when we try to communicate our message through technology. Not only do we feel second best to technology when we try to interact with others, but we can totally misconstrue a message conveyed through technology. When we rely on tech to converse, we run the risk of ruining our relationships as we lack the intonations and emotion through a written message that we receive so easily through verbal conversation. Pause for 5 seconds before you act on your thought. If you get a phone call, wait 5 seconds before reacting. If you want to check your phone for the time, pause for 5 seconds before reacting. If you hear a notification ring, wait 5 seconds before you react. Living out of reaction restricts our ability to understand our emotions and feelings. If we start acting out of intention, we become empowered and confident from a simple 5 second pause. Set an intention when it comes to your technology. Why do you have it in your life? What purpose does it serve? Creating an intention helps you to feel fulfilled and satisfied every time you reach for that screen. I have my phone because it allows me to connect (one of my favourite things to do) and it allows me to keep up with my passions (reading articles, watching videos). Without an intention, we get lost in all the junk that comes up through our devices — we scroll and scroll mindlessly through our newsfeeds, emails, images and it becomes a useless habit. As soon as we switch to intention, our actions feel purposeful and we make the most of the time we have using it. This purpose dramatically improves wellness on a daily basis. Before jumping on your tech, stop and think why you’re doing it. Is it because you’re bored and unsatisfied in this moment? Maybe the adverts have come on TV, or you’re sat in a waiting room. Maybe you’re trying to avoid the awkward silence between someone in-front of you. Before you grab your phone, identify whether it’s because you’re avoiding a situation, or trying to alleviate some sort of discomfort and just breathe into it. Embrace the emotion, accept the present might be super boring and move on. Put your phone to bed at least 30 minutes before you… not only can a bright screen affect your circadian rhythms, whatever you see before you sleep can have an impact on the quality of your sleep and dreams. Give your body and mind the best possible chance to relax and calm down for your best sleep by simply putting your phone to bed. Move your charger to the other side of the room to reduce the chance of reaching for it if the boredom kicks in…! Only answer numbers you know! If it’s something important and you don’t recognise the number, you’ll either receive a text message, voice mail or email. Decide what you want from social media. Is it to connect with others? Is it to get inspiration? If it’s to simply to distract from boredom, find a book or game to distract yourself with. If you’re using it for inspiration, make sure to unfollow anyone that doesn’t inspire. If it’s to connect, ensure you only have notifications when people message or comment on a post, and remove any other notifications. Deciding on what you want from social media can prevent you from being bombarded from what you don’t want. Whatever we expose ourselves to in the morning preps us for the rest of the day. Imagine waking up from a bad dream, already anticipating the day and we see something on social media that upsets us — before we’ve had chance to prep our mind and body we’ve already made things hard for ourselves. Replace the early morning grab with some easy breathing, some nice bed stretching, saying thank you out loud and again, create an intention for the day — would you like to be productive? Would you like to feel peace today? Would you like to notice beauty? As soon as you bring your attention to something you want, you’ll start to notice it throughout your day. Grabbing your phone takes that control away from you as you cannot know what will come up on the other side of that screen. Something that has lasted the test of time with me is ‘life is the longest thing you’ll ever do, so take your time’. 5 minutes is all you need. Whenever you feel yourself going off track, get yourself something short and sweet to re-align and the transformation is huge. 5 minutes in the morning, 5 minutes before you go to bed, 5 minutes when the stress starts rising. Whether it’s simple breathing, yoga, meditation, mindset work — 5 minutes to reconnect can be the difference between a good life and a disastrous life. Head to www.helensianindia.com and you’ll find all the links there for social media that helps rather than hinders ;). You can also search Helen Sian India or sweet.spot.helen and you’ll find me!